Science has always played a key role in identifying the benefits and drawbacks of different minerals and herbs. Nowadays it is very hard to find a topic that has not been touched by scientists. 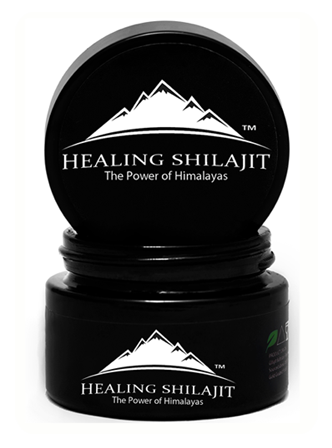 Shilajit being one of the most precious herbs has wondered scientists with its astounding results. Here we are going to discuss how science has proven the amazing benefits of this fantastic herb. Heart is the essential part of a human body and performs important functions to make us stay alive. Shilajit has been examined in a primary in Vitro studies by Daphnia, which are very responsive to the added drugs to culture. It was discovered that concentrations of the 1-100ppm had a very negative chronotropic result, lessening the heart rate frequency by 7.65 percent, 15 percent and 28.5 percent at 1, 10 and 100ppm correspondingly and using a chronotropic effect at 1000ppm. All the descriptions for the observed outcomes are presently not known. According to one study, using just 2g Shilajit on a regular basis (6.61% Fulvic acid) noted that the supreme herb was able to lessen triglycerides by 21.7%, vLDL-C by 20.6%, LDL-C by 22.6% and grow HDL-C by 5.8%. Shilajit did not interact either with acetylcholine (nAchR) receptors or glutamate receptors in vitro. It has amazing benefits to human brain and the system of neurology. It works astonishingly in order to reduce the perception of pain. That’s the reason why Shilajit is considered to be very effective to correct the functions of brain and the neurology system. 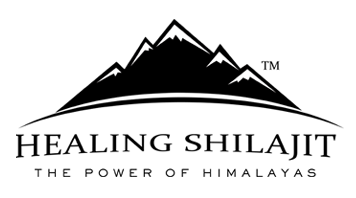 Shilajit works simply as a miracle when it comes to improve your learning ability. Studies have proved that this miraculous herb is ideal in the process of memory acquisition. So people suffering from memory problems can start using Shilajit for quick restoration. Experiments and studies have shown that if a person uses 200mg Shilajit on a regular basis for at least 3 months or simply 90 days, you will observe an amazing 6.8% decrease in the blood glucose. However, a decrease in the blood glucose was not seen with 2g Shilajit over forty five days in otherwise strong persons. Dosage of Shilajit at 100, 50 or 25mg/kg on a regular basis for about 6 weeks found an increase in the overall sperm count in the epididymus and testes up to 378% and 130.4%, respectively at 100mg/kg dose, independent of the changes in testicular weight. So Shilajit is known to be very effective in increasing the sexual power of human beings. People have used this in the past and still consuming for a better and healthier sexual lifestyle. In women rats fed 100, 50 and 25mg/kg Shilajit every day for about six weeks, Shilajit thought to have exciting properties on ovulation and oocytes frequency. One human involvement with 200mg Shilajit every day for three months or 90 days in infertile men was related to a growth in testosterone by 23.5% in serum. Using 200mg Shilajit on a regular basis for about 90 days in infertile males is associated with a rise in Follicle Stimulating Hormone or (FSH) by 9.8 percent, with no important effect on Luteinizing Hormone in serum. For more information on Shilajit and the scientific research, you can refer to the link give below.